A simple nail art this time but I love the pastel color combo. I have used a textured nail paint from Barry M called Atlantic Road of which I have put 2 coats on all my fingers and Maybelline Color Show in Coral Craze of which I have put on 1 coat on 2 fingers. 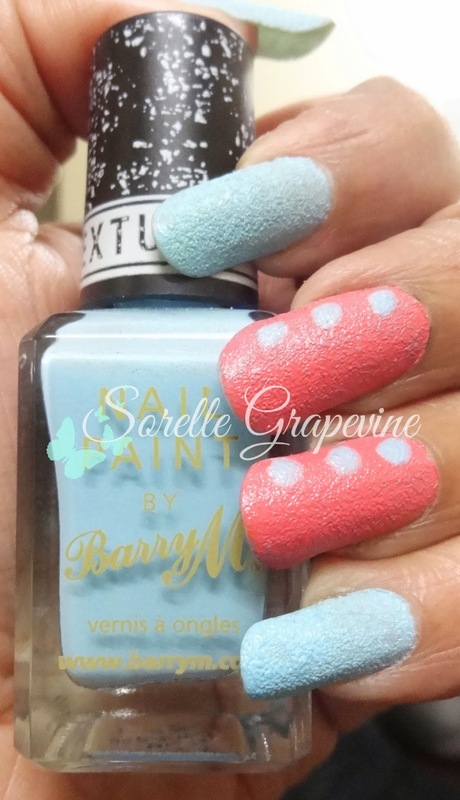 I was expecting the texture of the Barry M show through the Maybelline coat and it didn’t disappoint. Topped it off with dots of the same blue ( I don’t know why I have gotten so fixated to the dots-on-the-side design). There was this gorgeous design by someone where she had stamped a metallic nail paint over a textured one. It looked so awesome that I always wanted to replicate it. But this time my attempt at nail stamping was a complete bust….the reason being I was able to transfer the print to only 3/4 of my nail. ARGH! 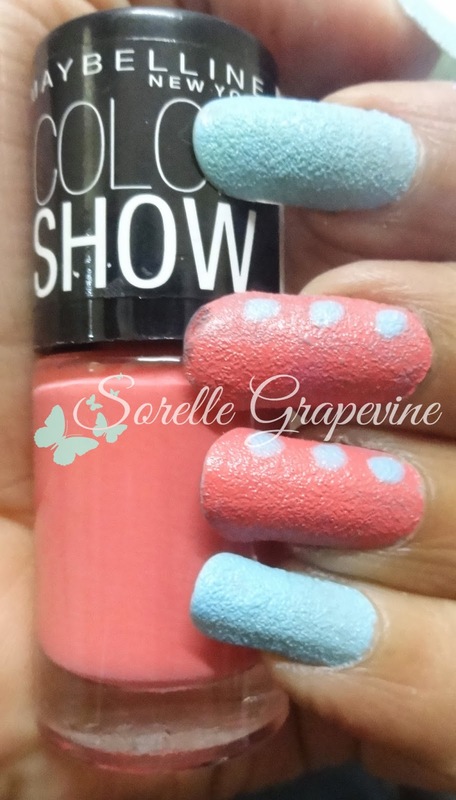 My nails have become too long to stamp on and I’m still too much of a novice to be able to tackle it 😛 So to cover up my botched job I applied the coral shade completely on the nails 😀 That was my inside scoop on it….Hope you guys liked this NOTD. I will catch you soon with another attempt of mine. Take care!